Thanks Ray and colleague for a job well done – a fair price and professional work without having to wait for weeks. We are very happy with the result, the clean-up after and the excellent customer service – no need to look for anyone else! Omg you guy’s are amazing.. after being stuffed around by 2 others, you came In and did a better job than expected or that we could have imagined. 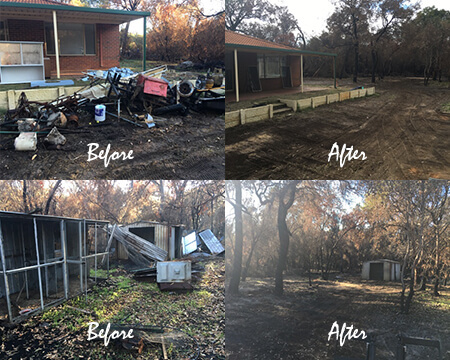 You turned out neglected and fire damaged 2 acres into an organised neat and tidy property. It’s actually sad to be selling now as you have it looking awesome. Can’t thank you enough for all your help over the week, not only are you honest and helpful but bloody hard working too. I can’t recommend you guy’s enough. .. again THANKS. Super quick to come and give a quote. Job was done quickly and the place was left tidier than before they started. Thanks heaps. and I will be touch when it’s time for that tree too. Come down! Prompt reply, excellent service. Great job guys. Ray, I couldn’t not be happier with the out come of that awful tree being gone, my yard looks amazing, you left it so much tidier than how you found it. Your prices were so competitive, and qte on the spot not get back to me in 4 days, love the way you do business, you can certainly tell your a pro. I’ll be seeing for the removal of that palm very soon. Happy, happy customer. Thanks to Matt also :). I am so impressed with your work. Respectful of our yard space. Professional and tidy! Left our yard better than it was before they arrived. Thank you. Got the job done quickly and at a good price. Very happy with the job. Honest, hardworking and a pleasure to deal with. Super happy with Ray and his hardworking wife! Messaged them for a quote and not only were they super competitive but my palms were gone a couple of days later! Highly recommend them. Amazing service! Best quote I received and very reasonable prices. Arrived on time and completed the job exactly how we had discussed, leaving everything super tidy. Great service and great advice, so happy with the results. This guy is fantastic. Absolutely on the ball. He popped over to give me a quote. He rang me at work to give me the quote and when I asked him when he could do it, the response was “in about 5 minutes”. Absolutely fantastic service and highly recommended. 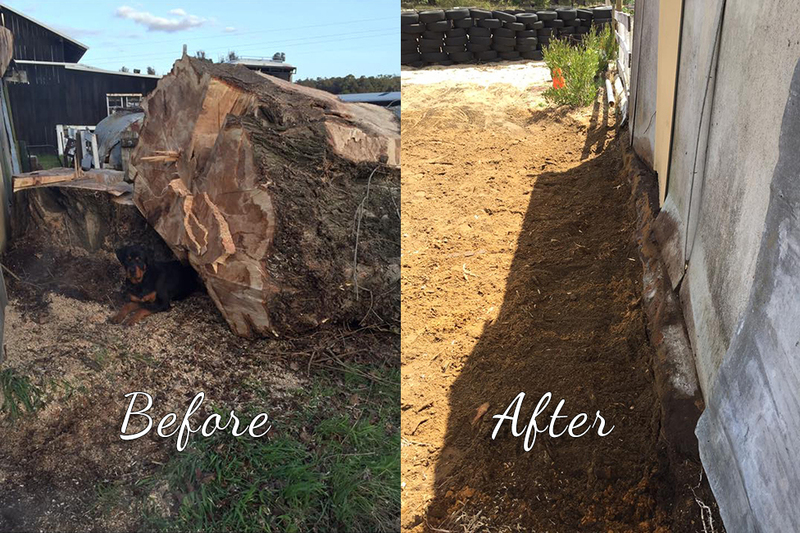 We were extremely happy with the service provided by Armac to remove two tree stumps on our property. They were prompt, efficient, and friendly. Everything was left clean and tidy. They were extremely well priced. Happy to recommend them. Absolutely thrilled with the results from Ray and the gang. We couldn’t be happier. Highly recommend this business to everyone. What a Job! Extremely Happy with the service and work done by Ray of Armac Stump Grinding. Good price good job.